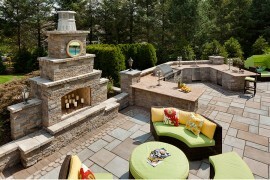 A relaxing backyard that offers a tranquil refuge amidst the urban rush that surrounds us is a refuge that we all seek. 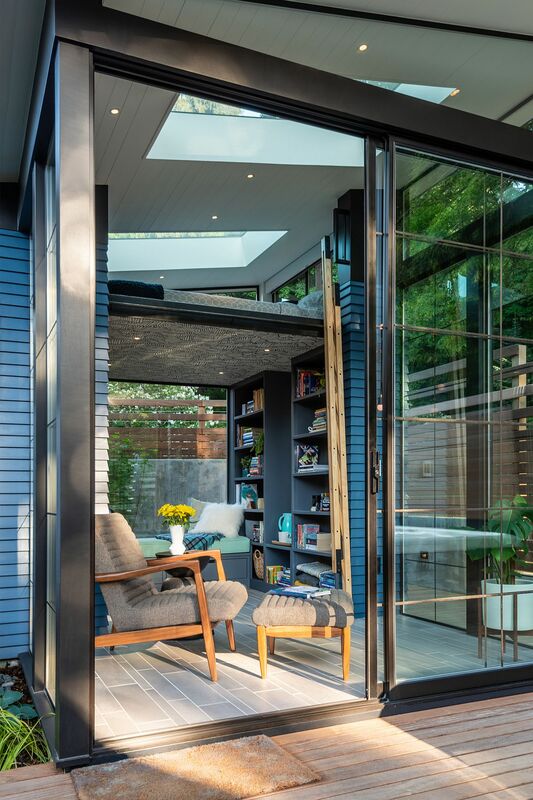 But few among us actually have the privilege of enjoying such a serene escape. 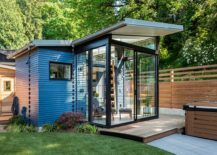 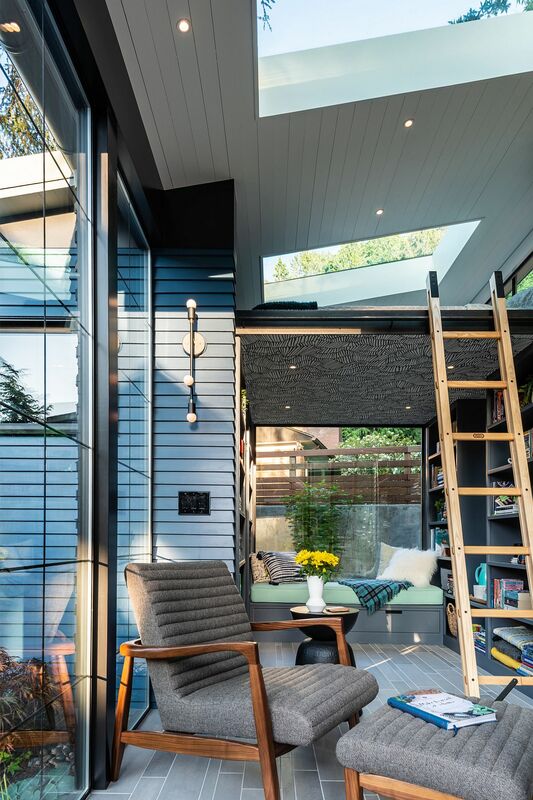 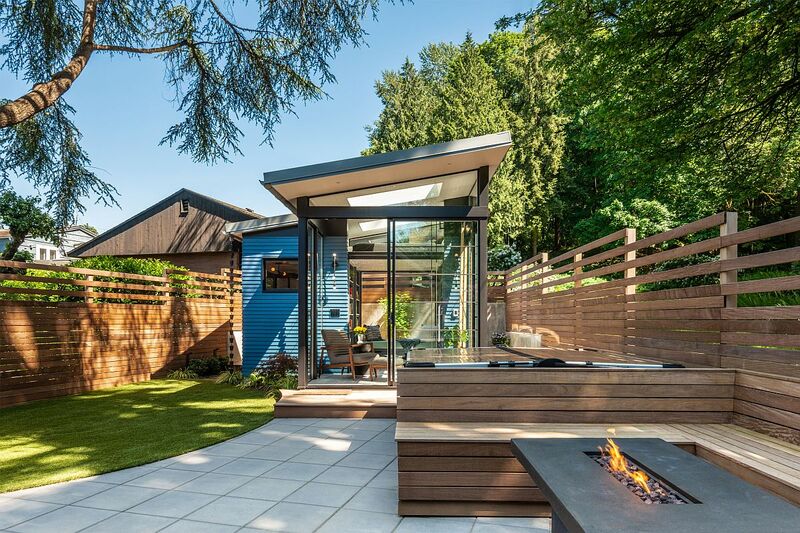 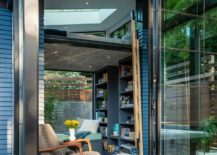 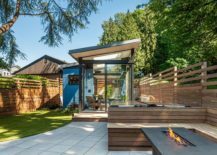 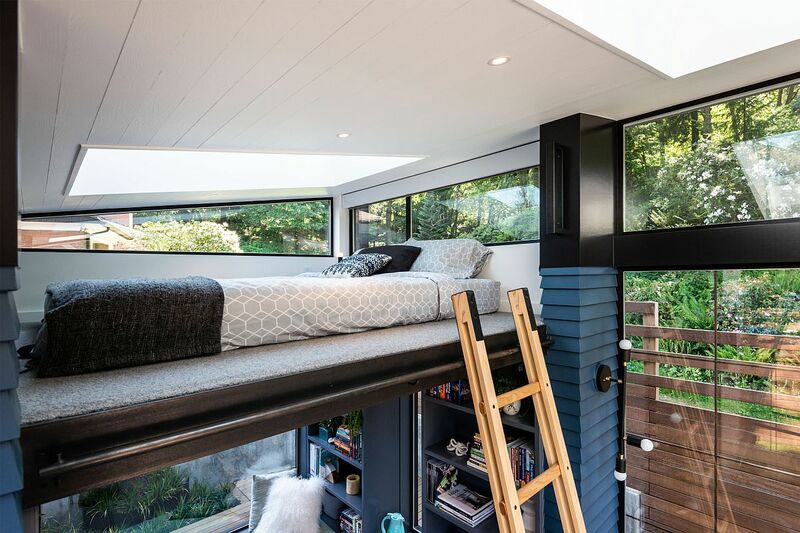 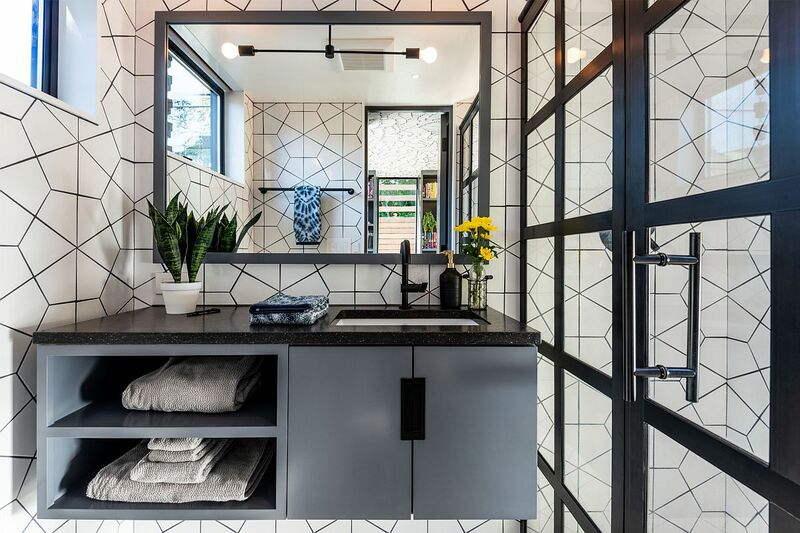 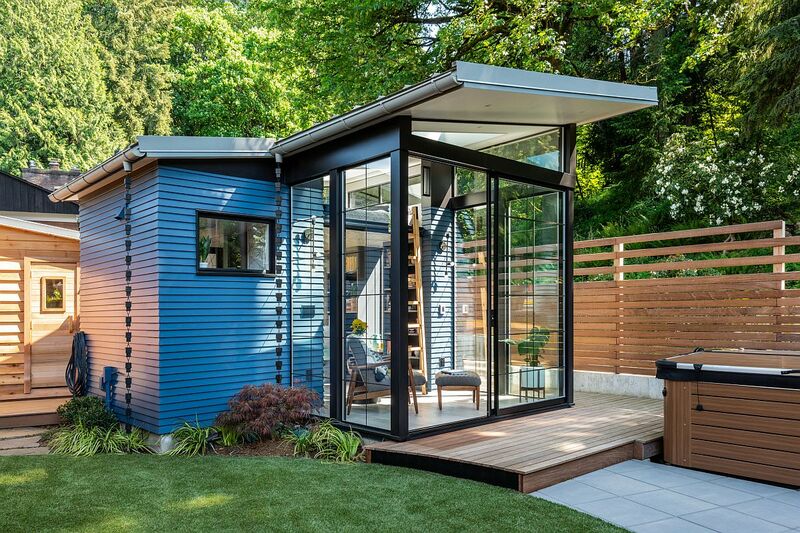 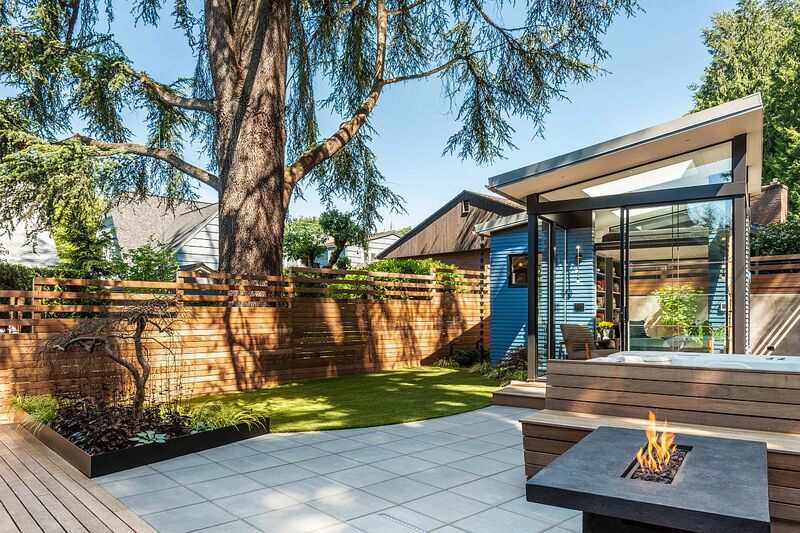 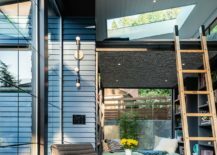 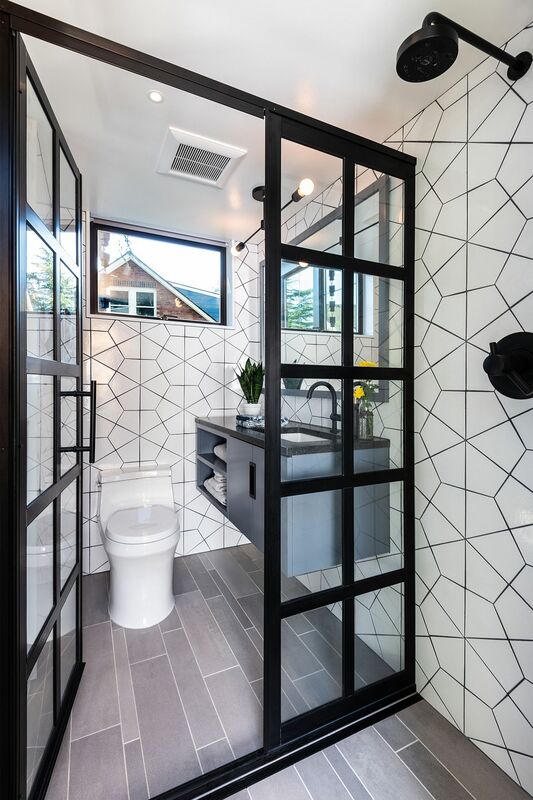 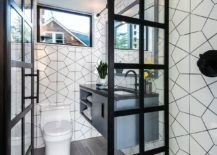 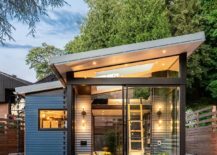 Transforming an unruly and wild backyard into a sensational and polished hangout that also comes with a spacious deck, firepit and sauna, Board & Vellum Architecture and Design altered this modern Seattle home dramatically. 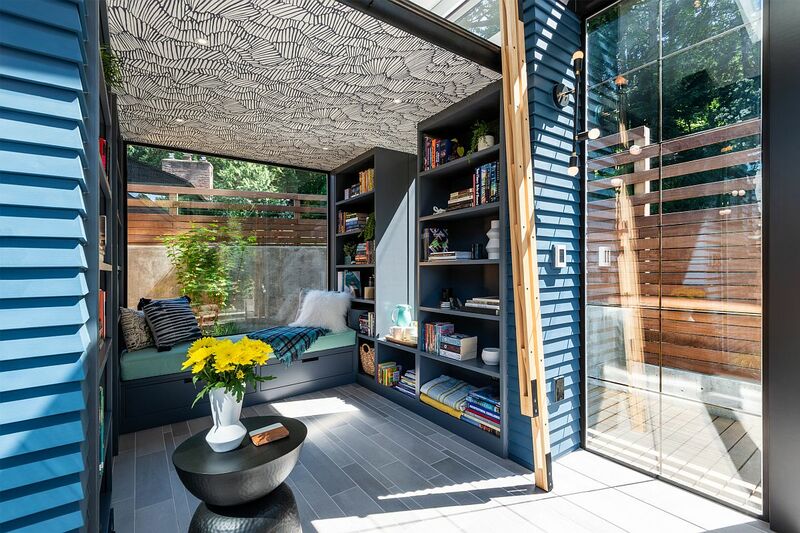 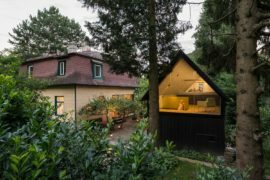 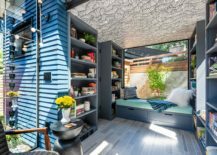 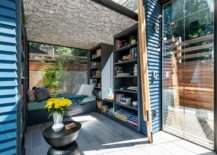 The homeowners wanted to turn their backyard covered with vegetation into a reading retreat that could also host friends and family when needed. 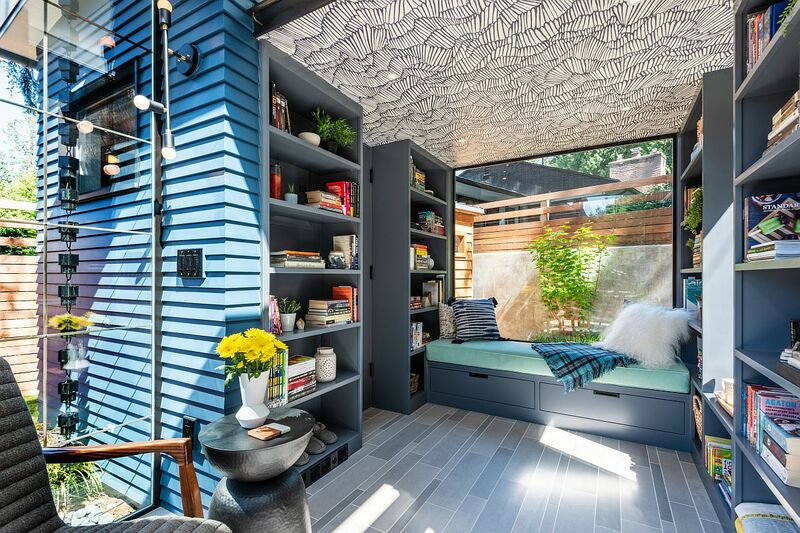 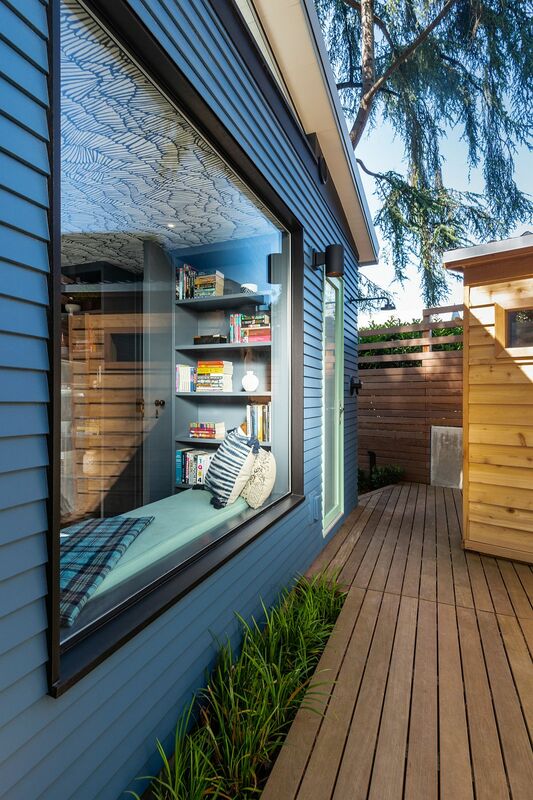 The backyard reading retreat is a deceivingly simple name for this shed-styled backyard addition that has it all! 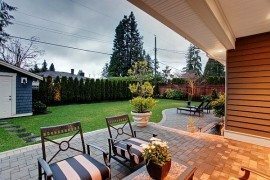 Homeowners can enjoy a fun and rejuvenating evening here, get away from the mundane and also turn the space into a party zone when needed. 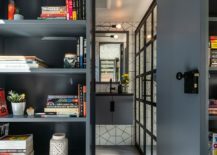 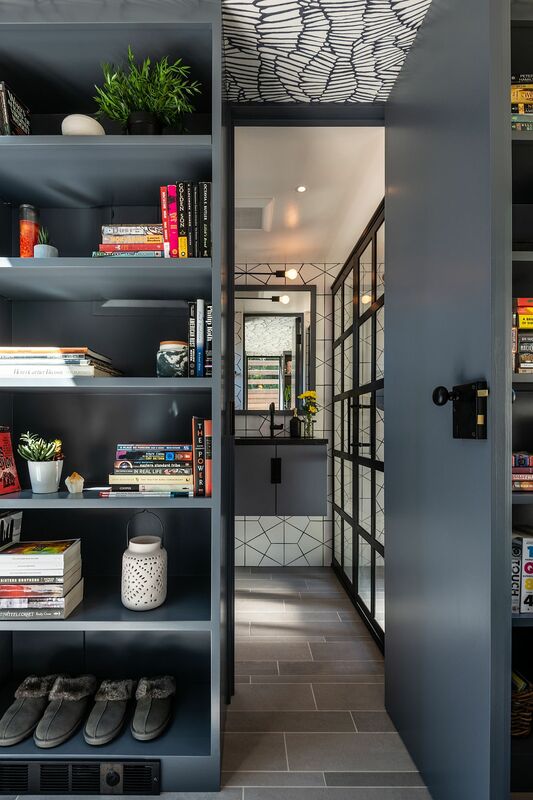 A series of smart bookshelves line the walls of the interior as large glass windows connecting it visually with the wooden deck outside. 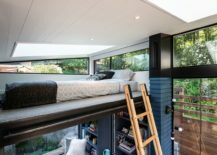 A loft bedroom and a tufted bay window seat with storage provide additional options which allow the retreat to multitask with ease. 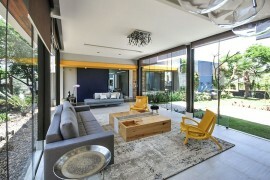 RELATED: Serene Sao Paulo Residence Offers An Enchanting Escape With Scenic Backdrop! 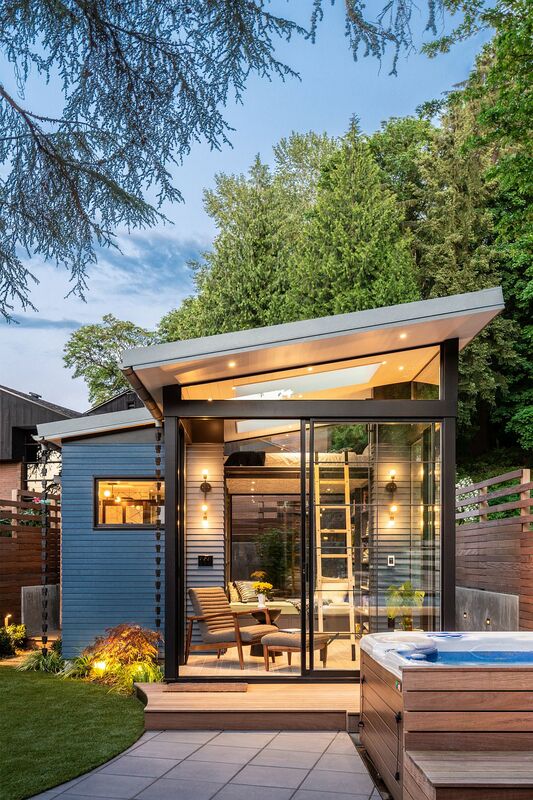 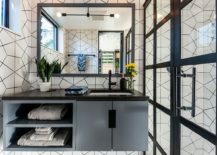 On the outside one finds a shower area along with a sauna and a firepit, and this space feels like a natural extension of the interior. 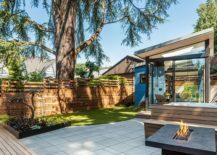 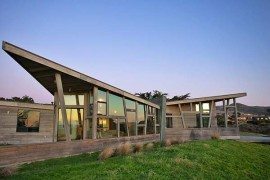 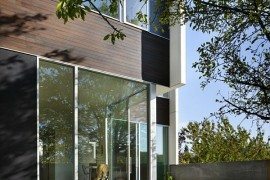 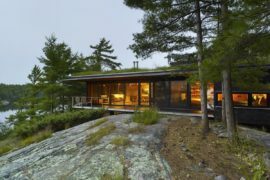 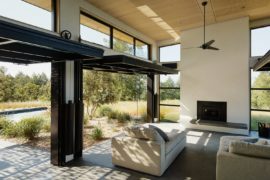 With the neighboring home containing a tree designated as an ‘exceptional tree’ by the city, the architects took all the care in the world to ensure the structure did it absolutely no damage whatsoever. 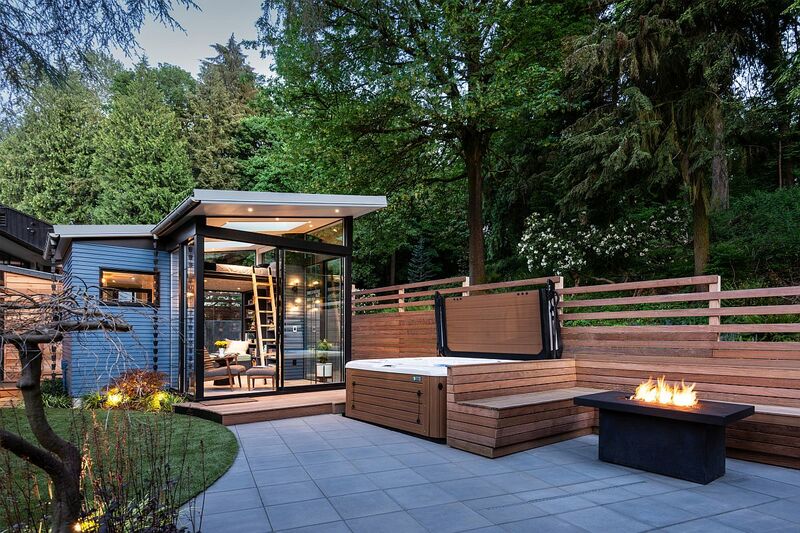 A perfect escape, if there ever was one!